The Countdown is now on for the first match of the 6 Nations, Scotland V Ireland. Our team here at the Three Sisters are ready and waiting to support their home nation as part of our #SCRUMFANZONE. We have decked out the bar with full 6 Nations décor and have even painted our outside bar in homage to some of the home nations! 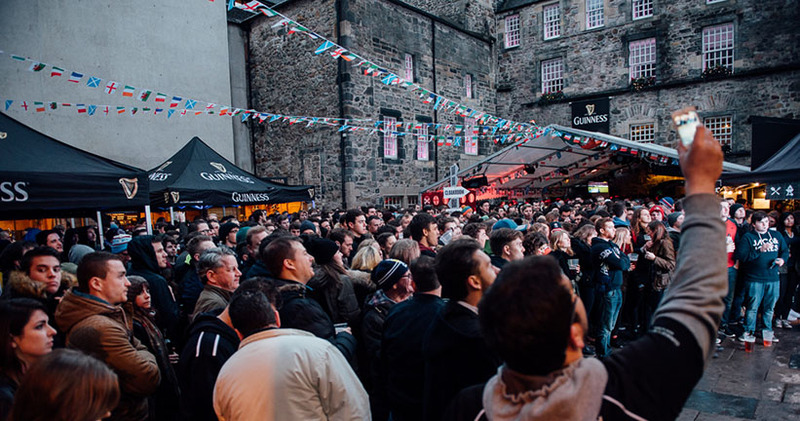 If you’re looking for that stadium atmosphere but can’t get tickets to the match we’ve got it covered, with our 200” big screen and outdoor commentary we are pretty much the best you can get outside of Murrayfield. Fancy catching all the action in our multi-screen beer hall? We have a few spaces left on selected dates, so why not get in touch and get stuck in with our man plank and enjoy the match in a setting like no other!